Massachusetts is prepared to embrace solar energy, but the state’s utilities are warning that this could be a costly issue. Governor Deval Patrick recently unveiled a new plan that aims to dramatically increase the use of solar power throughout the state. The plan is meant to mitigate air pollution, create new jobs, and help drive energy costs down for homeowners and businesses in Massachusetts. Utilities, however, suggest that the plan will lead to higher energy prices for consumers. According to the state’s utilities, consumers could be paying as much as $1 billion in energy costs over the next two decades as a result of the state’s solar power plan. State officials estimate that consumers will be paying $1 to $1.50 a month under the new solar power plan, but Northeast Utilities System, which serves more than 1.3 million people in the state, argues that the costs that consumers will face are actually much higher. The utility suggests that how the plan forces consumers to purchase electrical power is part of the problem. 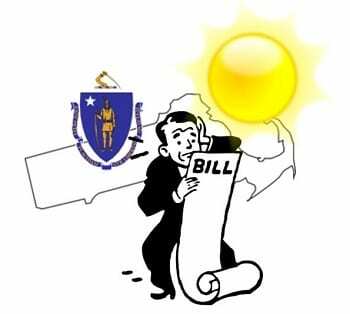 According to the utility, consumers throughout Massachusetts will be paying approximately three times more for the solar power that they use than those in neighboring Connecticut. The Massachusetts Department of Energy Resources acknowledges that this may, indeed, be the case. The state agency anticipates that consumers could be spending as little as $500 million more for their electricity through the state’s solar power plan over the next two decades. Solar energy has managed to gain a strong foothold in Massachusetts. The state has been supporting the expansion of solar power for some time and has approximately 400 megawatts of solar capacity currently operational. Through its new solar power plan, the state aims to have more than 1,600 megawatts of solar capacity installed by 2020, but the costs of this endeavor are expected to trickle down to consumers that will be purchasing this electrical power.